Is this nova's debut on my blog? I think it is! I've mentioned him a few times, but here is my little chicken nugget in his mama made shorts! Nova was born on august 1, so he's six months old now, and he's my last baby ever! And what a baby! he's beautiful and sweet and so good (can babies be bad though? i don't think so). Vin and Ed absolutely adore him and he adores them too! I didn't know his gender until after he was born, which was so exciting, especially since i was convinced i was having another girl and not another boy but WOW i was SO HAPPY because really i did want another boy! I really wanted eddie to be the only girl since she was getting shucked to middle child status ahha. I also birthed him vaginally, after two c-sections with the other two! it was a HUGE achievement for me, not only fighting the hospital to let my body do it the way my body is meant to do things, but also doing something i've never done before! 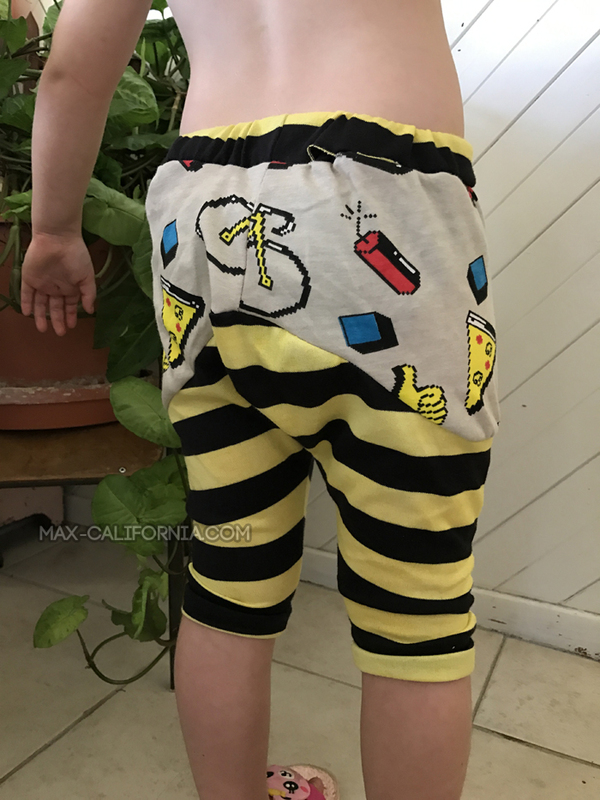 I recently bought the ice cream pants pattern from brindille & twig, and while i've sewn up a few of their free patterns this was my first *official* pattern. 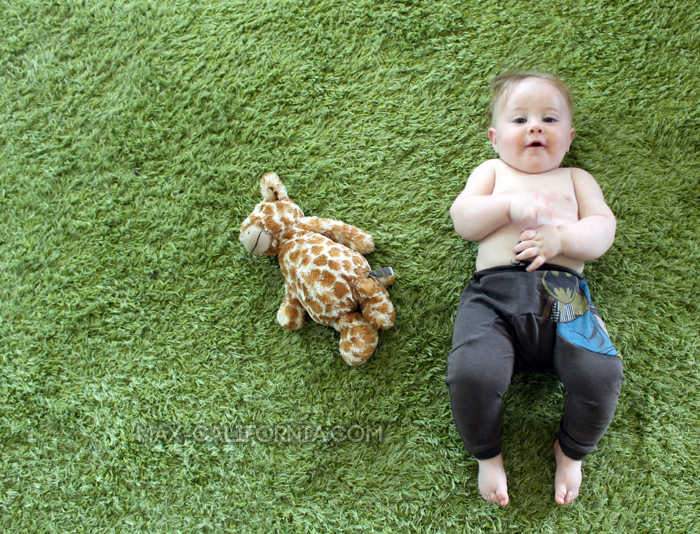 I really do get what the hype is about, the patterns are simple but cute, easy to assemble and sew up and totally on trend for baby fashion. 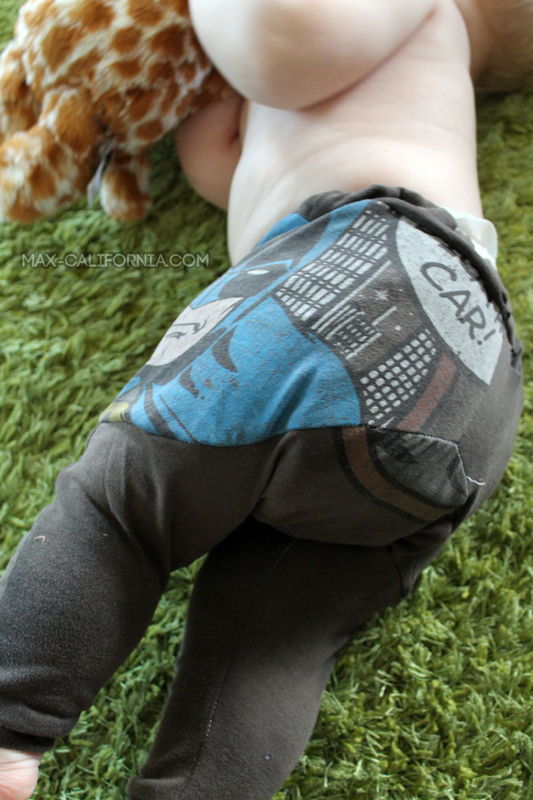 This pattern is a great scrap buster too! 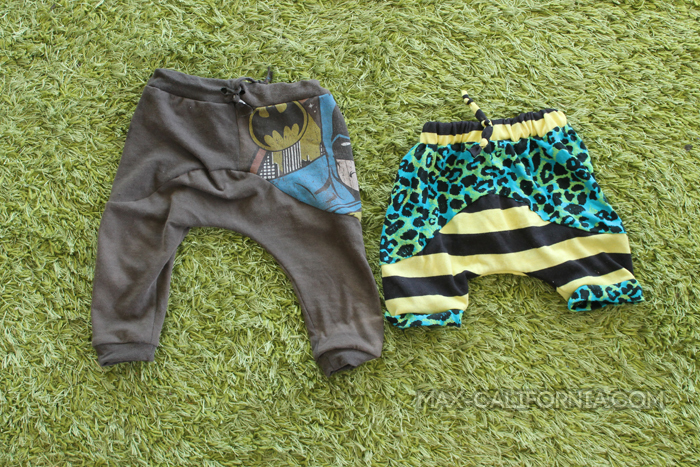 I used a men's t-shirt for the faded grey batman pants and then fabric from my scrap bin for the shorts. They're just super simple to assemble and easy to throw over fat little legs. 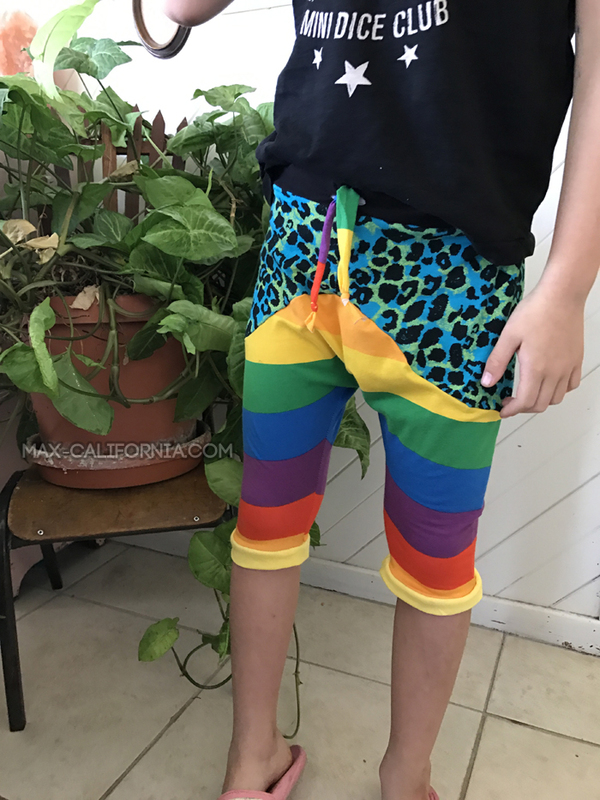 they're also unique enough that you can use colourblocking and mix a bunch of different prints together to come up with some really cute pants and shorts! There isn't a shorts length marked on the pattern, but you really can't go wrong hacking a few inches from the hem and making them into shorts! We had a cold snap this weekend (it was ridiculous and now he's sick) so I've got a little assembly line ready of ice cream pants to make him from all the old t-shirts in my reconstructing bucket! 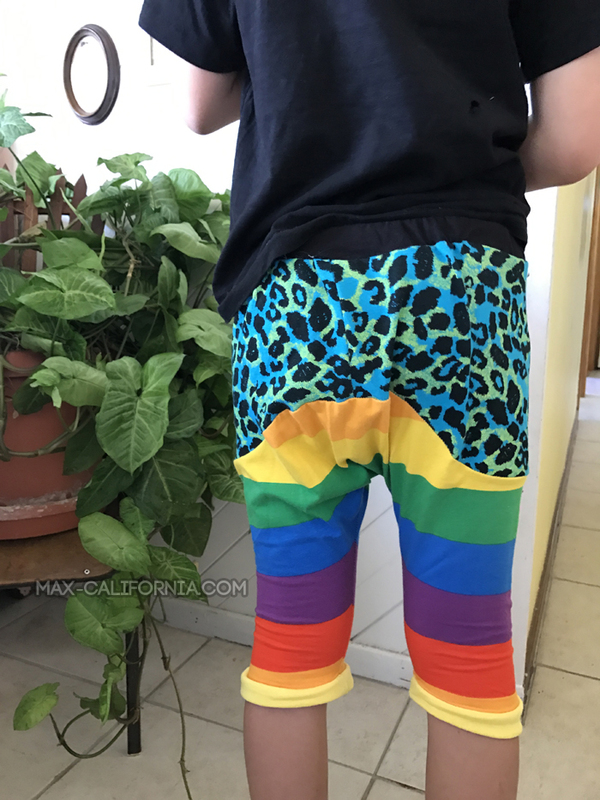 I used wider elastic in the shorts, which i prefer than the thin elastic i used in the pants, but i didn't have anything else so! I also made a pair for Eddie & Vinnie too! Eddie chose her fabrics, she's really into that grey fabric with weird pixellated graphics on it. I remember buying it because I thought it was kinda cool but then when i got it home i was like ... what. But she loves it so I guess i am sort of winning in a way! Don't look too close at the back, i didn't even notice until i took this snap that half the waistband wasn't sewn in properly at the outside. Boys Can Wear Pink: Season 4 - overalls!